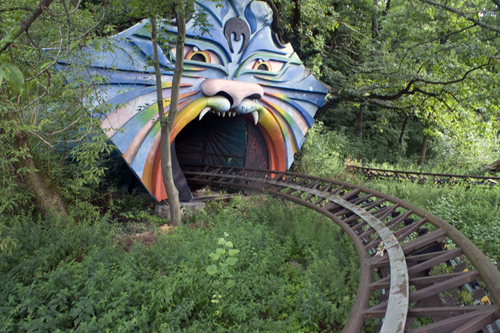 InSanity lurks Inside: Abandoned Amusement Park For Sale?! Abandoned Amusement Park For Sale?! 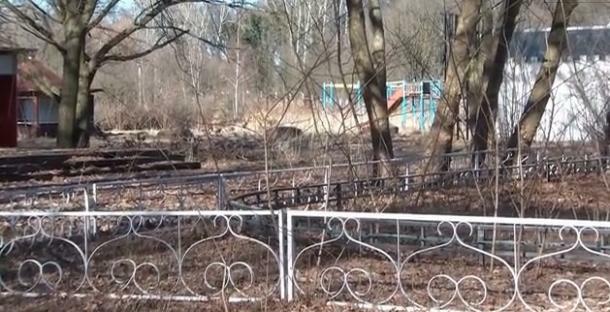 Abandoned Amusement Park For Sale- You really CAN buy ANYTHING on eBay! Even more proof you really can purchase anything on eBay, or sell anything for that matter. Popping up on eBay this week we found the abandoned "Spree Park" in Berlin, Germany. The park has been abandoned since 2002 and while not much is left today, there is still some remains left littering the property. The roller coaster "Spreeblitz", a ferris wheel and dozens of huge dinosaurs models are left on the property. The park was closed in 2002 because the owner was using the rides and ride parts to smuggle cocaine in and out of Germany. Over a decade later, the park has been put up for sale to the highest bidder. The Price? A cool $1.65 million Euros or about $2.2 million US. The property does have to be used as amusement or recreation space until 2061, which many hinder the possible buyers of the land. However, it's a still an interesting piece of history for sale. The park opened in 1969 while the Berlin Wall was still standing (the east side of the wall). Don't believe me? Here's the Listing! Info and Picture from "Buy an abandoned amusement park on eBay"